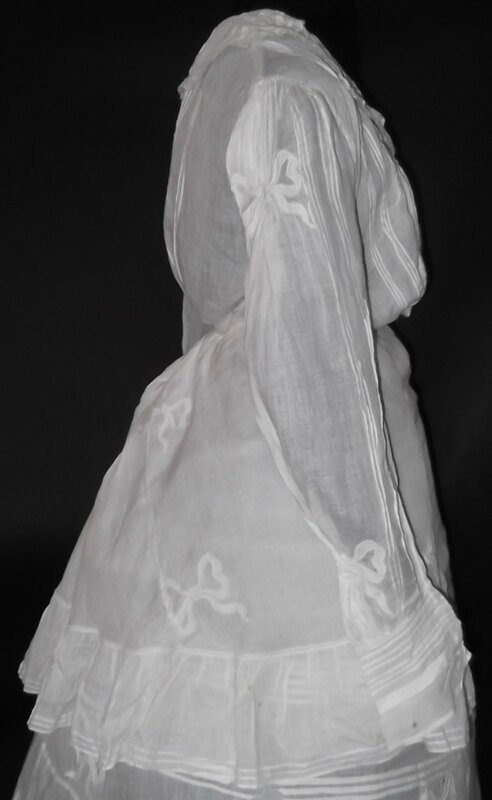 This two piece gown dates to the Victorian 19th century and is fashioned of a thin white cotton. 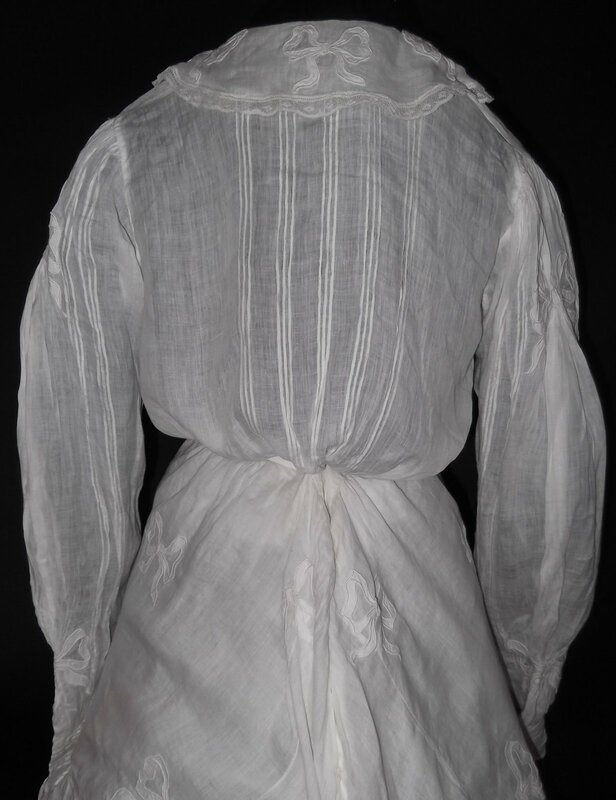 Both the skirting and the bodice are stitched with unusual bow details with the fabric on the bodice gathered in smocked form between the knots of the bows as though a ribbon were weaving through. 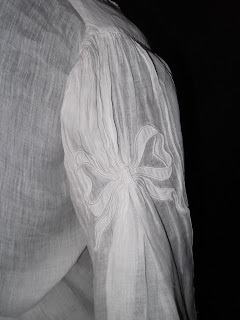 This matching detailing is seen down the outer sleeves at both the top and bottom. 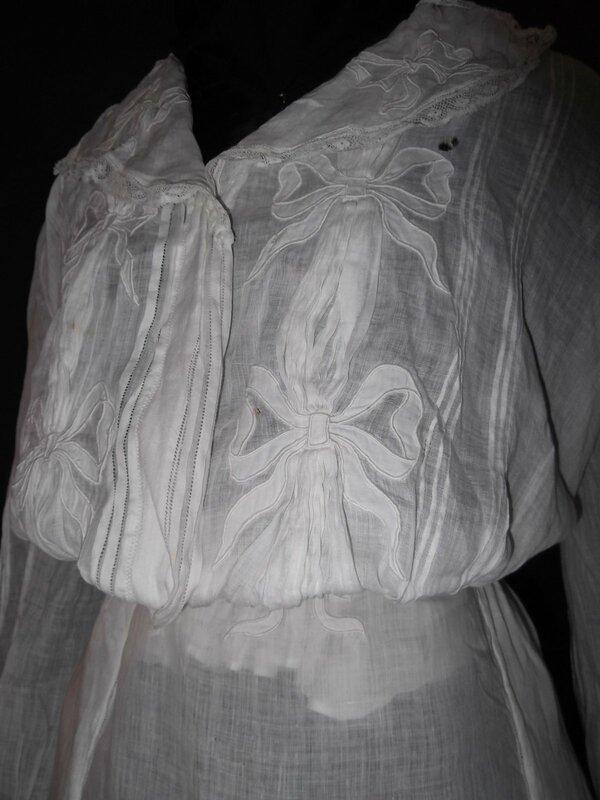 Bows in Valenciennes lace trim the collar, fine gathering is at both the front and rear of the bottom waistline with fine pleating running throughout the piece and micro pleat cuffs closing with miniature buttons and finished with a cuff, each having a stitched miniature bow. The skirting has stitched down pannier draped sides with horizontal pleating and fine drawn work running throughout with the bow detail evenly spaced down the front center. The gown is in clean condition, six small pinhead holes are hidden in the skirting, two eraser sized holes are in the bodice with one eraser sized hole on one cuff. 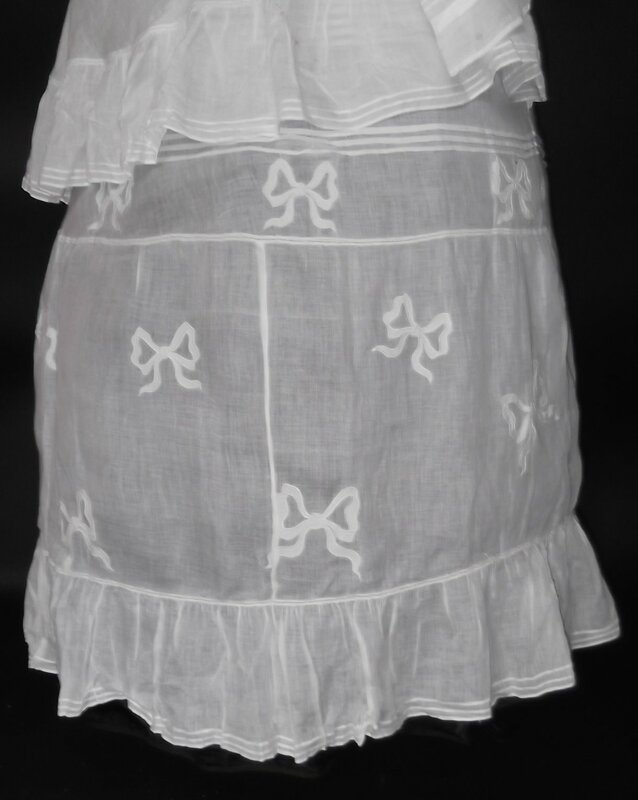 This piece was acquired from a museum de-accession and is numbered on the interior skirt. Measures a flouncy and full 38 inches around the bust, 28 inches around the waist, the skirt measures 28 inches around the waist, and 40 inches in its length. Another odd one. 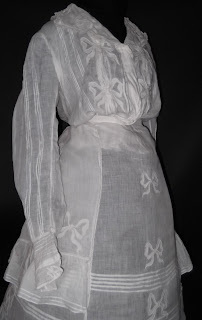 I'm putting this in the 1870's, natural form era. I think it was remolded from an early style, however.